Wow! Sorry I have been so absent! I have been getting my room ready as well as dealing with a lot of different things getting my own kids off to a great year in Kindergarten and First Grade. Now, I'm back, and I have something fun to share with you! 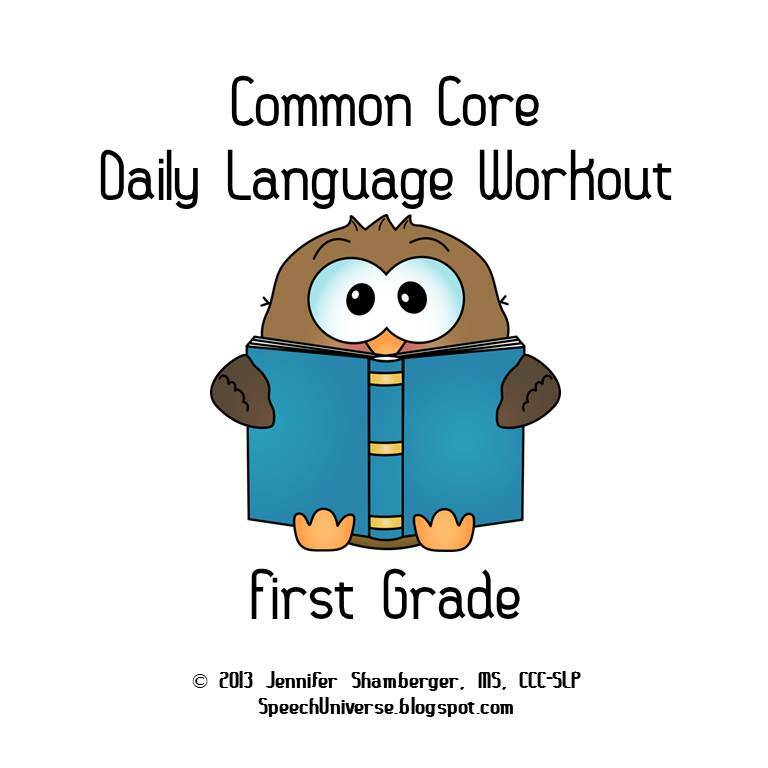 A lot of you have been asking for my First Grade version of the Common Core Daily Language Workout, and here it is! 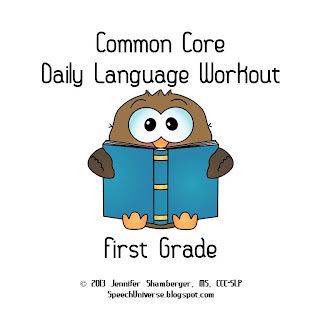 First Grade Common Core Daily Language Workout is a great way to track progress using an RTI approach. This workout is very similar to my Kindergarten workout. 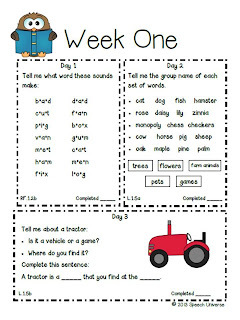 RF.1.2b Orally produce single-syllable words by blending sounds, including consonant blends. RF.1.2c Isolate and produce initial, medial vowel, and final sounds in single syllable words. 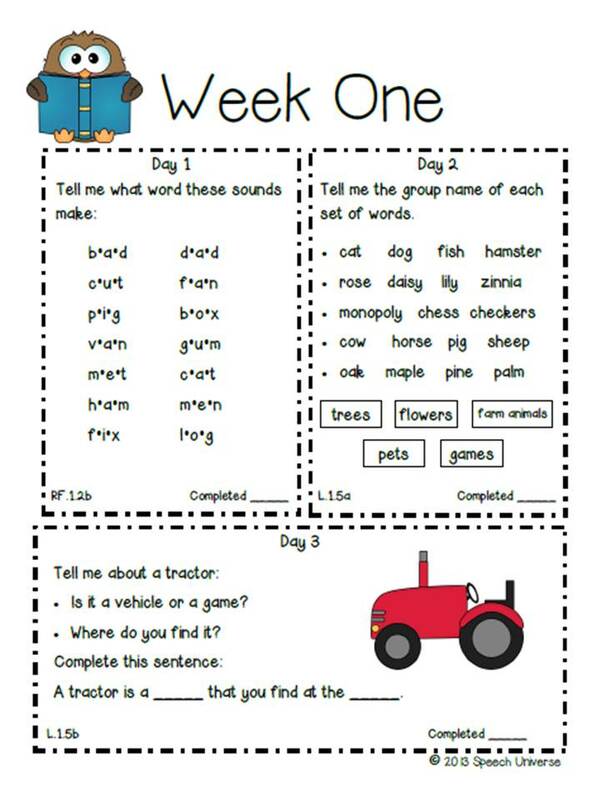 RF.1.2d Segment spoken single syllable words into their complete sequence of individual sounds. L.1.1b Use common, proper, and possessive nouns. L.1.1c Use singular and plural nouns with matching verbs in basic sentences. L.1.1d Use personal possessive and indefinite pronouns. L.1.1e Use verbs to convey a sense of past, present, and future. L.1.1i Use frequently occurring prepositions. L.1.4a Use sentence level context as a clue to the meaning of a word or phrase. L.1.5a Sort words into categories to gain a sense of the concepts the categories represent. L.1.5b Define words by category and by one or more key attributes. L.1.5c Identify real-life connections between words and their use. L.1.5d Use synonyms of verbs and adjectives. SL.1.1 Participate in collaborative conversations with diverse partners about first grade topics and texts with peers and adults in small and large groups. SL.1.4 Describe people, places, things, and events with relevant details, expressing ideas and feelings clearly. RL.1.2 Retell stories, including key details, and demonstrate understanding of their central message or lesson. RL.1.3 Describe characters, settings, and major events in a story, using key details. The first item included is a Pre/Post Test. This activity has nine different questions that you can use as baseline data to take to a meeting. Then, after completing your desired number of weeks of intervention, you can administer the Pre/Post Test again to compare your data. 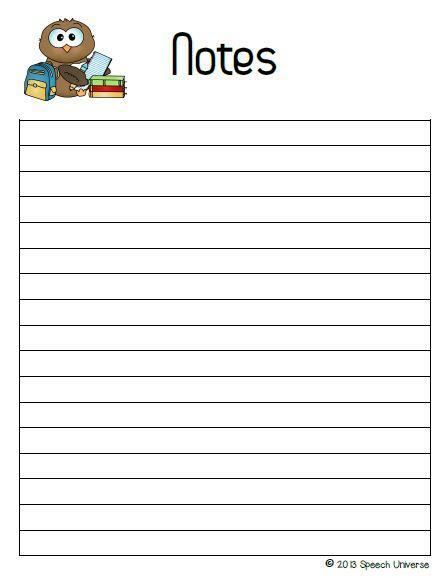 You can print an extra copy of this page to include at the end of your packet. This is not a standardized test, just a baseline for the program I developed. There are two pages for each week. Each page is divided by days. There is one activity that targets one to two standards per day. Each activity is labeled by its standard number. There is also a place to record the date that the activity was completed. I also included a check off sheet to document how many times each standard is targeted. 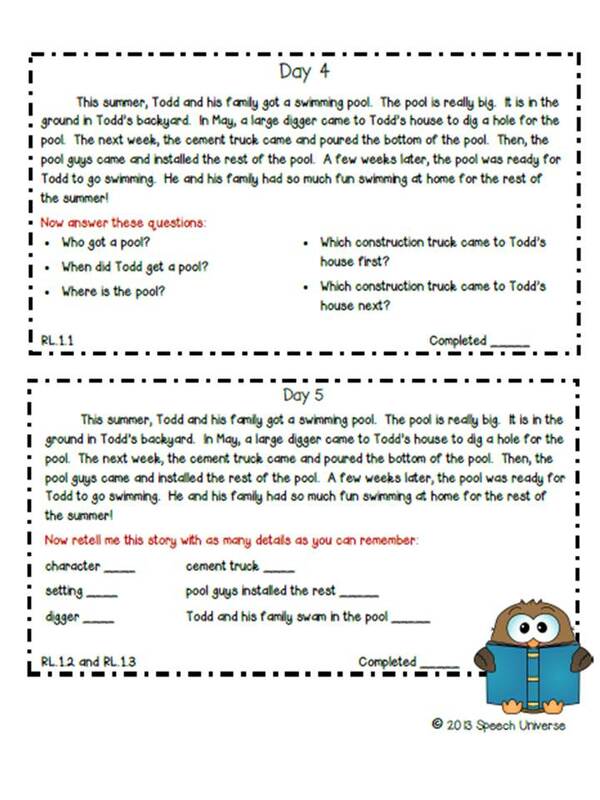 When an activity is completed, you simply reference the standard number and make a tally on the data sheet. 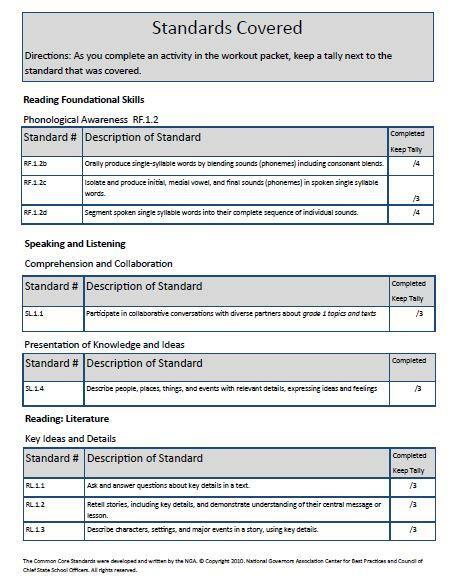 When you have completed your intervention, you will see how many times each standard was addressed. 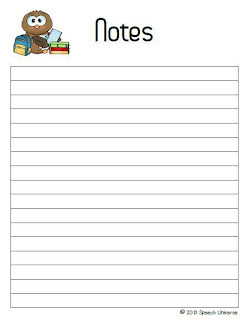 There is space in each day's box to take some small notes, and I also created a notes page for additional notes you may want to take. 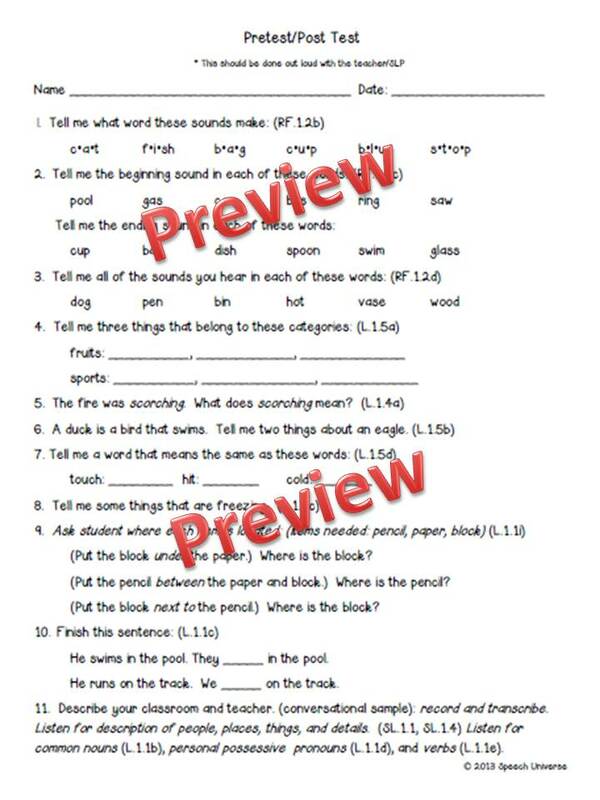 Thank you to everyone who encouraged me to create the first grade version of this packet! It takes a lot of time to organize these, but I am hoping to soon get second through fifth grades out too. You can find this packet HERE. I just bought this, and the Kindergarten one. These look great, keep them coming! Also, many elementary schools have 6th graders, might consider including that grade as well...I know I'd buy it! This product is very impressive! Very nice work that will be appreciated by many! Thank you.